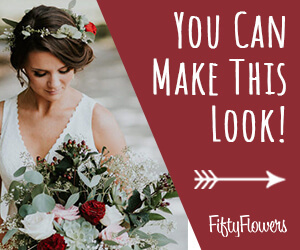 This chrysanthemum boutonniere is a great example of a fast and simple boutonniere that can command a high price from a professional shop - yet have very little time and materials invested! Decorative wire is available in many popular wedding colors and can be easily shaped into wire armatures to enhance even the simplest flowers and turn them into attractive (and modern) wedding boutonnieres. 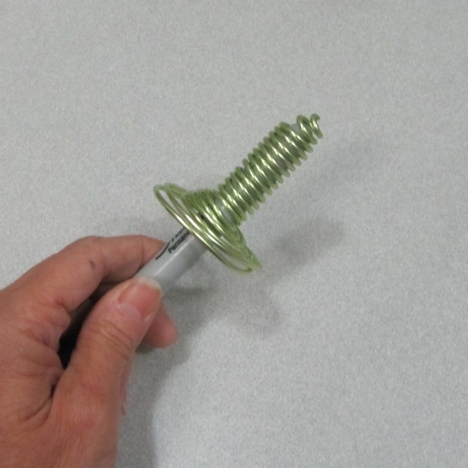 The wire is easily cut with wire cutters and malleable enough to be shaped easily by hand. For this design, I simply wound the wire carefully around a Sharpie magic marker pen. 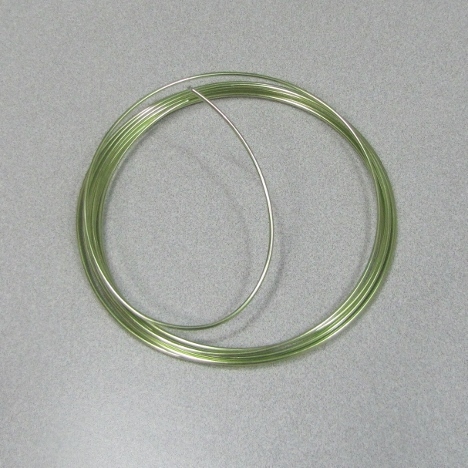 I first created a tight circle with a twist of the needle nose pliers on the cut end of the wire. 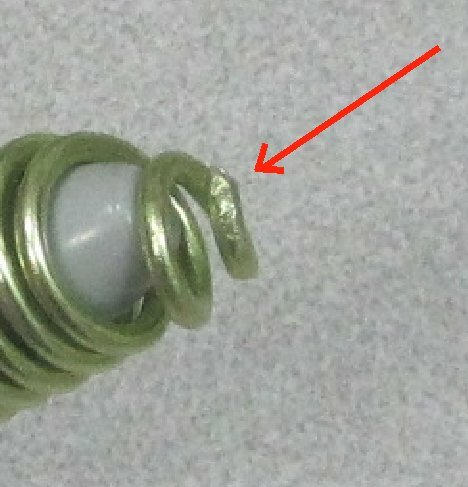 This makes a closed spiral on the very bottom of the marker. 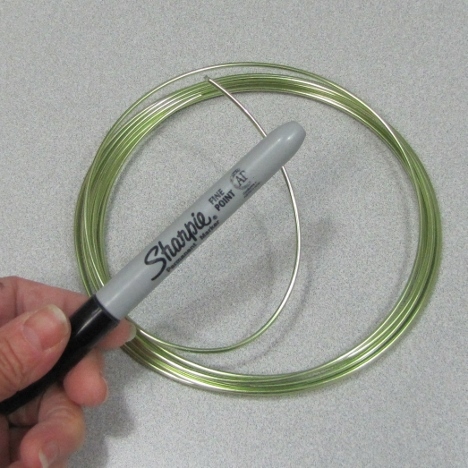 I then began to carefully coil the colored wire tightly up the barrel of the marker. 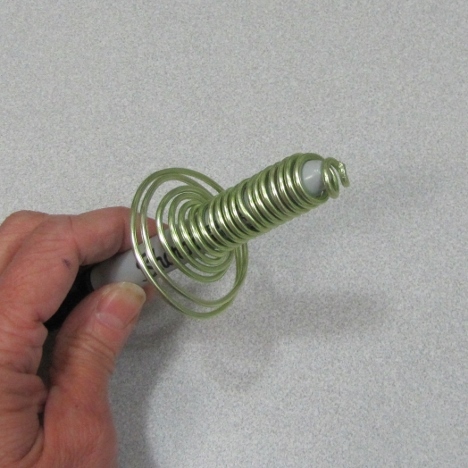 When I got around 1 and 1/2 to 2" of tight coils, I began to loosen the coils and wound the wire in a flat open manner as shown.